Extended sailing is often described as “days of boredom punctuated by moments of sheer terror.” As a sailor, I can tell you that those boring times give you a lot of time to think. In fact, if you ever find yourself crossing the Atlantic Ocean in your own 40-foot boat, you will have approximately 25 days of thinking. You’ll even have time to reflect on those moments of terror that took you away from your blissful boredom. 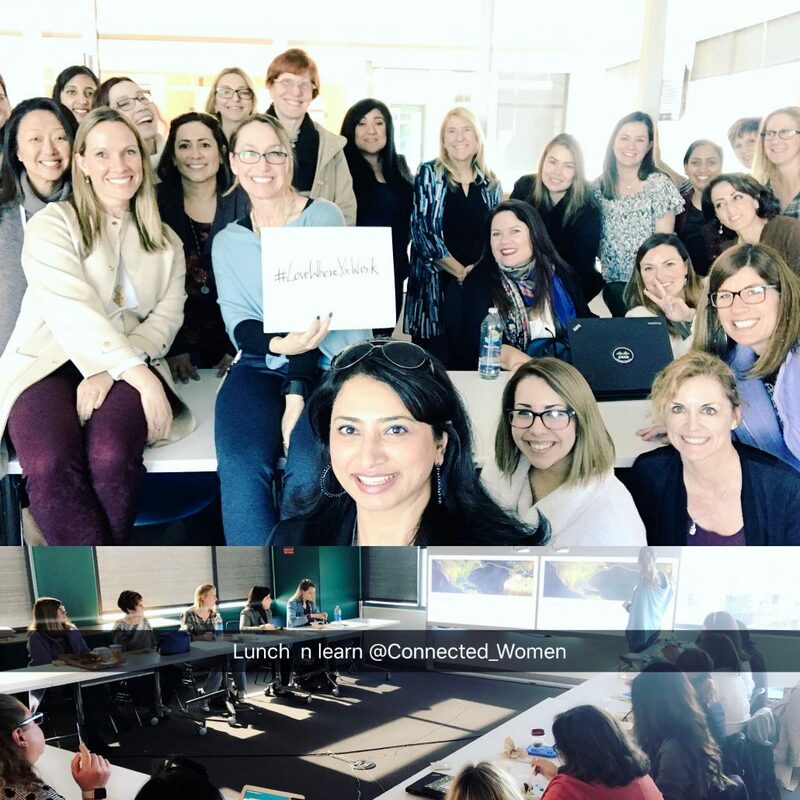 After presenting these tips to the Connected Women group in San Jose – #LoveWhereYouWork! In 2014 and 2015 I took a 2-year sabbatical from Cisco and sailed 16,000 nautical miles, or about halfway around the world, from San Francisco to Europe, on our sailboat with my husband and young son. And what I discovered in all of that time to think is that life at sea has a lot of lessons for life on land and back at your desk. It’s not like my husb and and I have a charmed life or are just lucky. 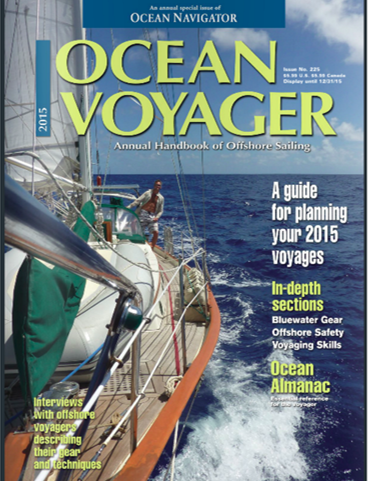 We spent five years planning and preparing for our two-year voyage. We have spreadsheets outlining what medications we needed to take, what spare parts we had on board, our son’s homeschool curriculum and about a dozen other plans. If you want something, make it happen. I recommend Excel. Always keep one eye on the conditions and adjust accordingly. As my husband likes to say, “Keep your head out of the cockpit.” Why not do this in life? Life is not meant to be navigated on auto pilot. Some of my friends were aghast that my “closet” for two years consisted of two small shelves. It turns out I only needed one. Give me just a few fast-drying, water-wicking, sun-shielding, wrinkle-resistant outfits from Athleta and I will wear them over and over again. What I learned is that what you want isn’t always what you actually need. I had to homeschool my son for 4th and 5th grade. It’s fair to say he may have taught me more than I taught him. One day we sat and played with Legos together. My creation was awful and his was amazing. I used to get angry when I’d buy him a $100 Lego set and he’d build it, then immediately take it apart. What he was actually doing was creating more amazing things, using the catalog of Lego parts in his brain. Ever since, I’ve never given him grief for taking his Legos apart. Being creative takes effort; don’t always do what you’re told. 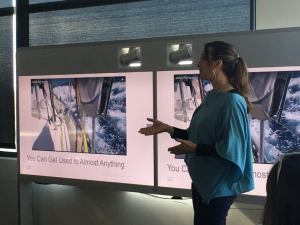 You might think that it would be awful to spend days at a time at a 15 degree angle, pitching up and down and always having to hold on to something with one hand lest you hurl across the boat and hurt yourself. And it is. But only for about the first three days. Things become normal after a while, even when they’re not comfortable. You can handle a lot more than you think you can. Easier said than done. I know. I get it. The thing I was most afraid of before leaving on our trip was getting into bad weather. There were about a dozen situations that I would have been petrified had I known I was going to encounter them. But guess what? After having gone through some sketchy situations, they are the things I’m most proud of dealing with. I spent about 493 hours worrying about crossing the Atlantic Ocean. Halfway across the Atlantic I sprouted the first gray hair on my head. True story. Yet our Atlantic crossing was mild and we had some amazing experiences. Now, I try not to worry about all the time I wasted worrying. My husband would ask our son, “Who’s braver? Daddy who’s not too scared? Or Mommy, who is scared and does it anyway? Mom.” This was nice reassurance when I felt like the biggest scardey-cat in the world. Face your fears. Trust me, you will be proud of yourself. You may not feel brave, but you are. 50+ mph winds and 15 foot seas? Sound dangerous? Actually, it depends. You need to be logical and evaluate: are we really in danger or does it just seem like we are? There were only a small handful of situations when we were potentially in danger. The rest was just uncomfortable. Don’t let your limbic system rule you, use logic. In some uncomfortable moments I would tell myself that I’d give anything to be sitting in an office and just dealing with politics. After all, I wouldn’t feel like my life was in danger. And then I’d remind myself that it just *seemed* like my life was in danger. Keep your perspective. 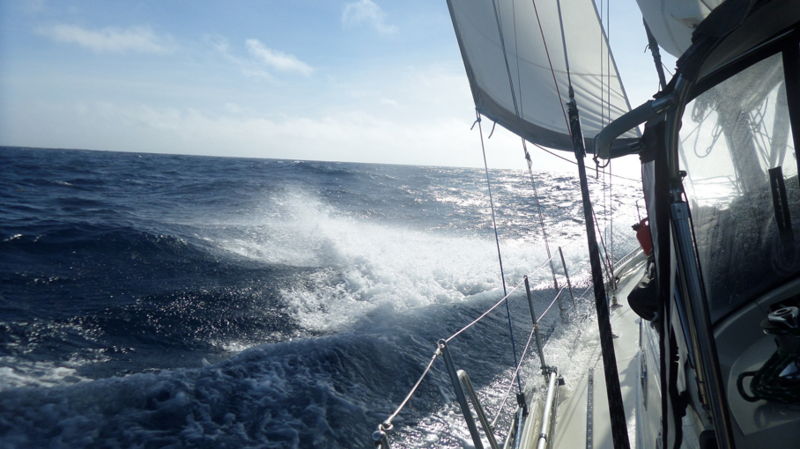 We were crossing the Gulf of Genoa off the coast of Italy, and the forecast called for less than 10 mph of wind. We had 40. Fortunately the crossing was only 12 hours. After, we anchored off of the amazingly beautiful town of Portofino. The glass of wine in the cockpit that evening was delicious. Somehow, I don’t think it would have tasted as good if the wind was less than 10 miles on our crossing. There is a saying that there are “two kinds of sailors, those who have run aground and those who haven’t yet.” In the summer of 2015 we went from the first group to the second. It could have been catastrophic, but instead I’m really proud of the way we handled this emergency because we didn’t panic. I even tossed around a few jokes, even though I was stressed on the inside. We got floating again and we made friends in the process. And I’m not embarrassed about how it all went down. Take a deep breath when you think disaster strikes and let stress bring out the best in you, not the worst. I thought I had learned all of these lessons from my trip and that they were part of me forever. It turns out that I need to constantly remind myself about them. It’s so easy to get back into a routine. It’s so easy to stop noticing and appreciating the world around you. It takes work. The minute you go on auto pilot is the minute you stop growing. 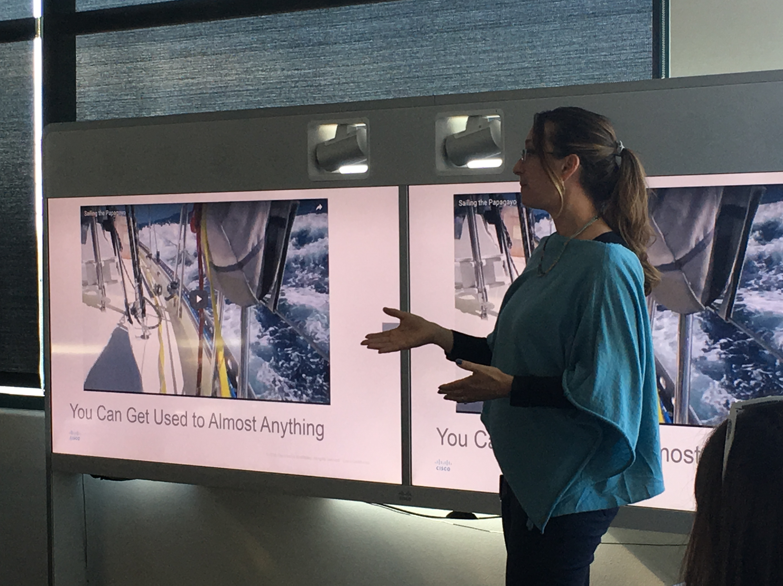 I’m still a little gob-smacked that Cisco let me take two years off to take a crazy sailing trip, and then hired me back at the end of my trip. In the end I think Cisco is better off because I get to apply all these lessons I learned at work. Every day.